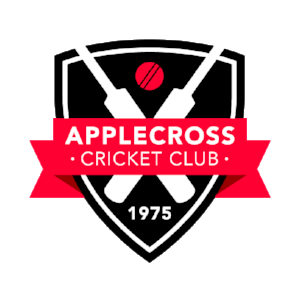 Salt Property Group are long time sponsors of Applecross Cricket Club and give back to the club whenever an ACC member settles their house through Salt. Salt Property Group is committed to innovation and excellence which is achieved through continual research and education. Sharing knowledge and information keeps us responsive to shifting markets and ensures that our client’s investments excel in any environment. Bradford Legal is one of the most established and trusted personal injury law firms in Western Australia specialising in Motor Vehicle Injury Claims, Workers Compensation Claims and Public Liability Claims. Their down to earth and outcome-driven team will fight passionately for your rights and entitlements. In 1837, The Albion poured WA’s first beer. Over 175 years later, we raise a glass to WA’s original brewery by naming a beer after it. Made in WA by locals, for locals. Settled down in a business and residential district, just up from the Canning Bridge, she has a very strong local customer support who love all things fish and beer. A recent refit has the locals thrilled and a whole new customer is ready to be embraced into the warm hospitality on offer Clancy’s Canning Bridge. A true local, Clancy’s is as comfortable and welcoming as an old pair of slippers and a comfy chair. This true pub makes you feel welcome, the staff will know your name, and pour your favourite tipple before you find your seat. Whether it is for a morning coffee, superb fish and chips, a pint of brilliant craft beer, a glass of chardonnay, read of the paper, listening to a local band, being tested by the quiz master, Clancy’s Canning Bridge provides for all types, shapes and sizes. Come on down and get a taste of it. Metros Freo is a favourite venue for the younger ACC players and has been a staple venue on Saturday nights post game for some time. A brand new sponsor from the 17/18 season, Metros will be joining us again for the 18/19 season and we thank them for their continued sponsorship of the ACC. We are always on the lookout for new sponsors and are taking enquiries now! Click the button below to get in touch! !